Dentures are an optimal solution for patients who have suffered significant tooth loss caused by periodontal diseases, developmental dental defects, injury, or tooth decay. At Lacewood Square Dentistry, we provide custom-fitted dentures that can replace your teeth, restore your smile, and preserve your dental health for years to come. Dentures come in two available types: partial or full. 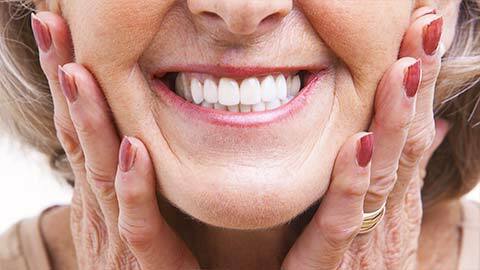 Full dentures can replace either the full row of upper (maxillary) teeth, lower (mandibular) teeth, or both. 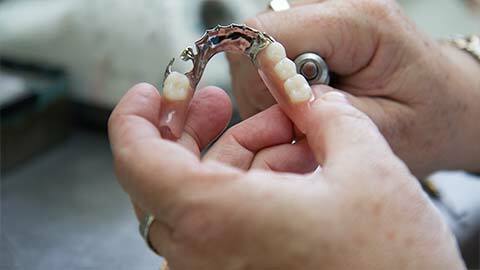 Partial dentures can be used instead of dental bridges to restore partial tooth loss. No patient is the same when it comes to tooth loss. At Lacewood Square Dentistry, we design the size and shape of our dentures in a way that meets a patient’s requirements and effectively restore gaps in your smile. We construct our dentures from the impressions we make of the gaps left behind by your missing teeth. The dental impressions ensure that your dentures will not just fit into your gaps, but will feel comfortable as well. Dentures are an ideal treatment for tooth loss, because they effectively restore the functionality of a patient’s mouth. With the help of dentures that look and feel like your natural teeth, a patient will be able to chew their food without worry, speak more eloquently, and smile with confidence.